Every software development needs coding; without it, nothing can be developed. The quality of software depend on the way developer write code. It's an essential part of the system and the behavior of the system depends on it. A small mistake in coding may make software vulnerable and unstable. Quality engineering works hard to find bugs to avoid potential problems with the software. They spend numerous hours and put tremendous effort into finding any problems with the software and reporting it to the developers. Cost of fixing the defects at various level. 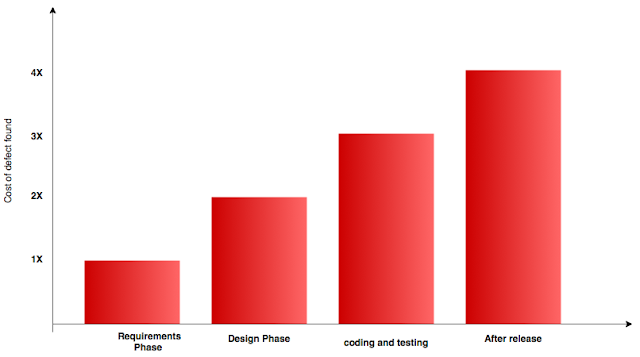 The Cost of fixing defects at latter stage increases exponentially, hence, you need more hours of QA Engineers and Developers to fix and run the entire release cycle again. If we can save some amount of time and effort from above, we can utilise resources in more productive way. Can we make sure code is better written, tightly secure, having no potential bug and right libraries used.